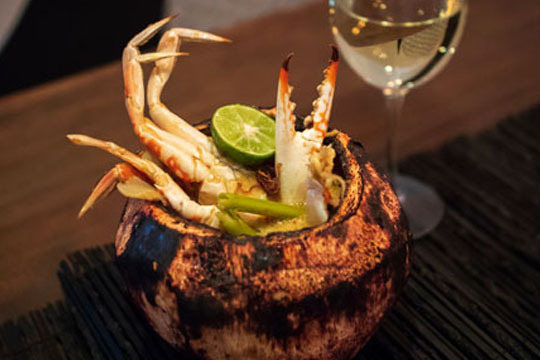 Located on the famous Monkey Forest Road in the heart of Ubud, Bali’s cultural and artistic hub, Liap Liap is esteemed and award-winning Chef Mandif Warokka’s latest step on a culinary adventure that has to-date seen him open some of the most memorable and innovative restaurants in Bali. Liap Laip refers to the crackling flame of charcoal embers which for Mandif translates into a modern take on the classic Indonesian grill. 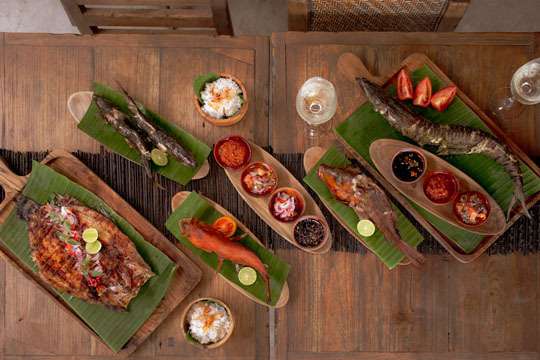 To create the authentic and colourful menu, Mandif and the team searched the far reaches of the archipelago to bring diners some of Indonesia’s most iconic culinary practices and flavours to showcase traditional, indigenous cooking styles. Combining exotic grilling and smoking techniques, they proudly deliver an inspired dining experience. 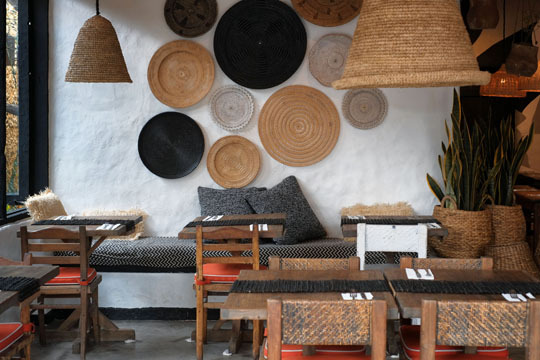 The restaurant design is rustic and comfortable and features reclaimed woods and sustainable local materials like rattan. With a range of seating options accented by indigenous arts and crafts, it is a thoughtful space ideally suited to the delicious dishes the team serves up.